Conflict is a “key reason” for world hunger being back on the rise. Eight countries have now reported hunger and food insecurity being at crisis levels for more than 25% of their populations. And the key link between these countries is conflict, according to food agencies in a warning to the UN security council. Hunger in conflict zones is an escalating problem. Violent conflicts have increased dramatically since 2010 and are currently at an all-time high. Conflict directly threatens what a new report from the World Food Programme (WFP) and the Food and Agriculture Organisation (FAO) refers to as the four “pillars of food stability” — availability, access, utilisation, and stability. “The price of conflict is becoming too high,” said Francis Mwanza, head of the London office of WFP, which sees 80% of its expenditure going to conflict zones. Conflict is also a main driver of population displacement, according to the report, and displaced populations are among the most vulnerable in the world, experiencing high levels of food insecurity and undernutrition. The number of refugees and internally displaced persons (IDPs) has increased significantly with the greater number of conflicts, doubling from 2007 to 2016, and now standing at 64 million people. And this huge number of people also put pressure on the food stabilities of countries and communities that host them. For children, the problem is even more pronounced. Almost 122 million, or 75%, of stunted children under 5 live in countries affected by conflict. 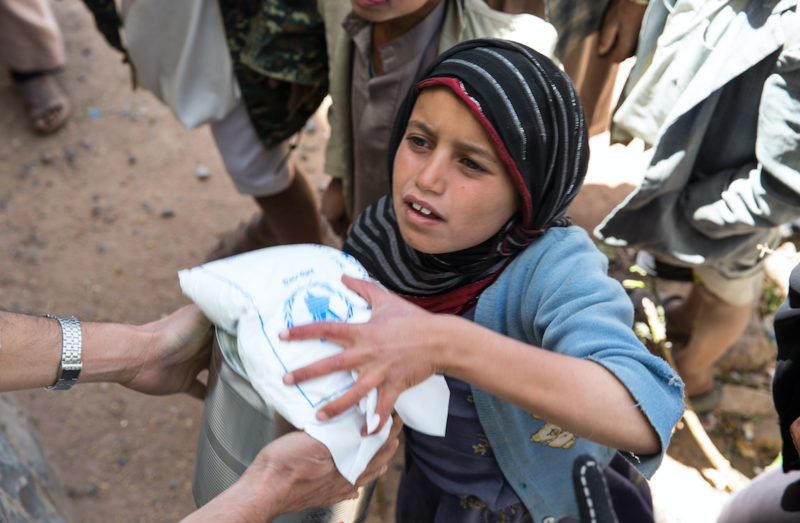 In Yemen, 17 million people are facing acute food insecurity — or 60% of the population. In South Sudan, that figure is 4.8 million, or 45% of people. Other countries which have the highest numbers of food insecure people are Syria, Lebanon, the Central African Republic, Ukraine, Afghanistan, and Somalia. Yet more countries have seen a dramatic rise in the numbers reporting acute hunger — although it hasn’t yet hit 25% of the population. In the Democratic Republic of Congo, for example, where serious food security concerns have been overshadowed by crises in other parts of Africa, the situation is rapidly deteriorating. 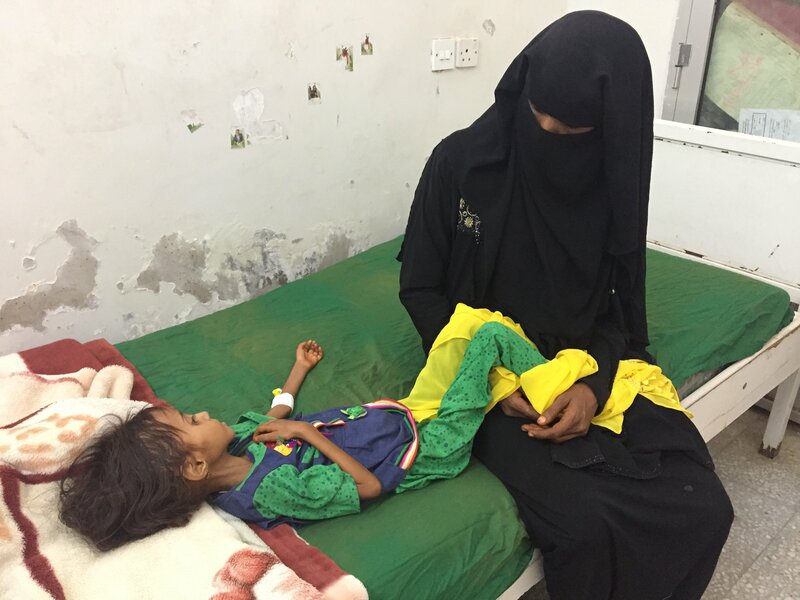 Some 11% of the population is now facing a hunger crisis, which is 7.7 million people, up from 5.9 million just six months ago. In Sudan, 3.8 million are facing acute hunger, up from 3.5 million six months ago; in Iraq, acute hunger has hit 3.2 million, and in the Lake Chad basin, 2.9 million. In fact, of all 16 countries analysed, Somalia was the only one where food security had improved. Across the world 815 million people are going hungry and half of these — 489 million — are living in conflict zones. The year 2016 saw the number of hungry people in world increase for the first time this century, after it had been steadily declining for over a decade. “The intensification of conflicts is a key reason behind the recent resurgence of world hunger levels falling decades of steady declines,” according to the UN’s most recent assessment of global food security. In a vicious cycle, food insecurity also increases the risk of conflict. “Competition over productive land and water has been identified as a potential trigger for conflict, as loss of land and livelihood resources, worsening labour conditions, and environmental degradation negatively affect and threaten household and community livelihoods,” according to the report. “Conflict, especially when compounded by climate change, is therefore a key factor explaining the apparent reversal in the long-term declining trend in global hunger, thereby posing a major challenge to ending hunger and malnutrition by 2030,” it said. The report warns that, to achieve sustainable development, and food security and nutrition goals, efforts to support resilient livelihoods must be combined with peace building and conflict resolution efforts. “Hunger and all forms of malnutrition will not end by 2030 unless all the factors that undermine food security and nutrition are addressed,” it said. Global Citizen campaigns to achieve the UN’s Global Goals, which include action on achieving zero hunger, and peace. You can join us by taking action here.